Learning is an inherently social activity, and the UNM Department of English Language and Literature understands the value of student organizations to a well-rounded and complete education. There are a number of vibrant, active groups hosted in our department, providing students with an opportunity to socialize with and learn from others with similar interests and (often) a wide breadth of professional and disciplinary experience. Although not technically a student organization, Blue Mesa Review has a long history of English student leadership and involvement. 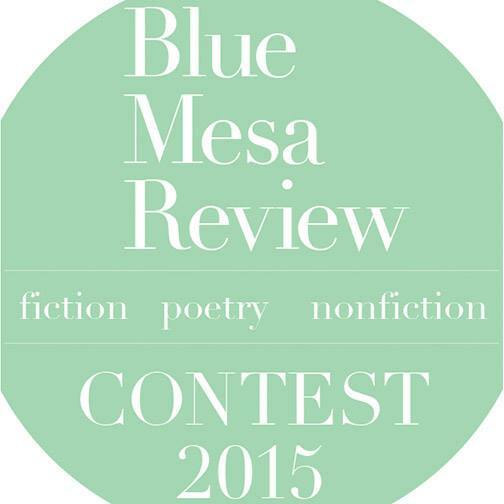 Founded by author Rudolfo Anaya, BMR is celebrating its 30th year as national literary magazine. Students from the UNM Master of Fine Arts in creative writing program run the magazine, selecting the best fiction, nonfiction, and poetry from diverse and unique voices nationwide (and sometimes internationally). BMR also runs the Works in Progress reading series. This monthly series is an opportunity for the campus and larger Albuquerque communities to hear MFA students, staff, and faculty read from their own creative work. Works in Progress is often held on the first Friday of the month at Tortuga Art Gallery - please check the Blue Mesa Review Facebook page for upcoming events. The event is free and open to the public. The English Graduate Student Association (EGSA) was founded in 2000 by a group of students in the Creative Writing program. Since then, the group has expanded to represent all of the graduate students in the English Department, regardless of their graduate program, and even provides one of the most important avenues for students of the different disciplines to collaborate with one another. The EGSA provides social and professionalization opportunities for its members and the UNM community as a whole, funding everything from bagel breakfast meetups to guest speakers on important topics like the job market and the digital humanities. Group membership is automatic for all graduate students in the English department, and group funds are generated by student fees paid by each graduate student. Other funding opportunities are available; contact the EGSA for more information. The UNM Hobbit Society was founded in the summer of 2003 during Dr. Leslie Donovan's Spring 2003 University Honors Program course, "J.R.R. Tolkien: Writings, Myths, and Sources." That Fall, the group officially chartered through the University Student Activities Council. The group seeks to promote the understanding and appreciation of fantasy and science fiction literature and the rich and varied contributions these genres have made, and meets regularly for "Hobbit Moot" for this purpose. In Spring of 2009, the Hobbit Society began its long-running Intellectual Hooliganism Colloquium, where undergraduate and graduate students alike can present on topics of fantasy, science fiction, and popular culture and engage in the scholarly conversations surrounding these topics. Many members have then taken these papers and presented them at various popular culture conferences throughout the southwest. Additionally, in May of 2010, the group became a chartered group of the Mythopoiec Society, the scholarly society devoted to the study of the works of J. R. R. Tolkien, C. S. Lewis, and Charles Williams. For more information, please visit the website below or contact Dr. Leslie Donovan at ldonovan@unm.edu. The principles of the Medieval Studies program in the English department at the University of New Mexico call for collaboration and collective learning; we believe that we all become better students if we are there to help one another. As a result, the Medieval Graduate Students in English (MeGSE) is a loose affiliation of the students in the English department who have dedicated themselves to the study of the Middle Ages. Graduate students pursuing a degree in English who have declared a focus in Medieval Studies and those whose Literature degrees include Medieval Studies in their programs are our members; alumni have gone on to teach and research at important universities throughout the United States and the world. MeGSE has no central officers; as we are established to be an organization of mutual support, there is little need. You can find us studying together in the library, helping each other with scholarly presentations, or enjoying each others' company at one of the nearby local establishments. The Medieval Studies Student Association (MSSA) is a multidisciplinary group dedicated to the study and understanding of the Middle Ages in all its forms, from Anglo-Saxon England to Byzantium and beyond. Although many of the MSSA's members come from the English and History departments, the group welcomes students from any major or discipline, and values their perspectives on the medieval period. The MSSA hosts a number of events every year, ranging from receptions and social events to the Student Colloquium, where graduate and undergraduate presenters share their work with one another in a supportive academic environment with the aim of improving the scholarship and eventually preparing it for conferences and publication. The group has been one of the most active on campus in recent years, hosting workshops and hands-on events, as well as supporting the Institute for Medieval Studies' various presentations and lecture series. The group maintains an active ListServ and social media presence, as well. 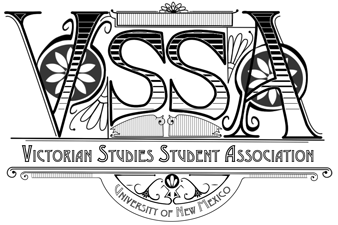 Founded in 2015, the Victorian Studies Student Association seeks to promote understanding of the literature and culture of the 19th and early 20th centuries. To that end, they sponsor varous events, including readings and movie nights. For more information on the various groups listed here, see the individual web pages for each, or see the English Department Student Organizations bulletin board in the North hall of the 2nd floor of the Humanities Building. If you represent a student group and would like to have it listed here, e-mail the English Department GA at englishga@unm.edu.